Here are my results. 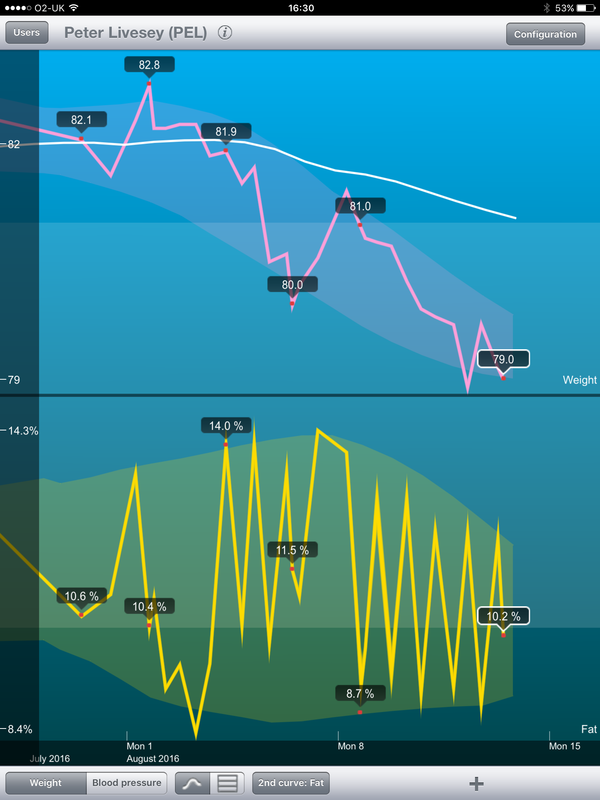 The upper graph is my weight – pink line actual and white line trend. The 10 days started on 31 July and finished on 10 August. Total loss 3.8kg in 10 days. The bottom graph is my body fat %age measured twice a day. Top readings are morning bottom readings are evening before dinner. It’s the evening readings that are more accurate. So what kind of food can you eat to achieve nearly 4kg fat (fat not weight) loss in 10 days? Here are a couple of typical dinners…. 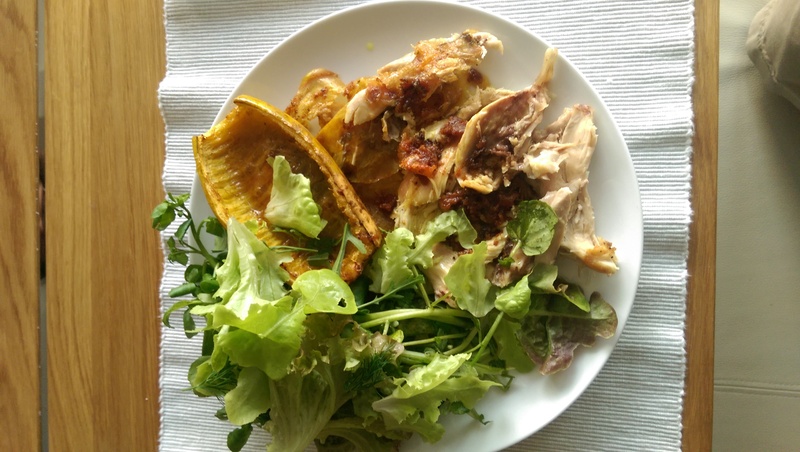 Turmeric roasted chicken, roast squash and salad with an oil and vinegar dressing. 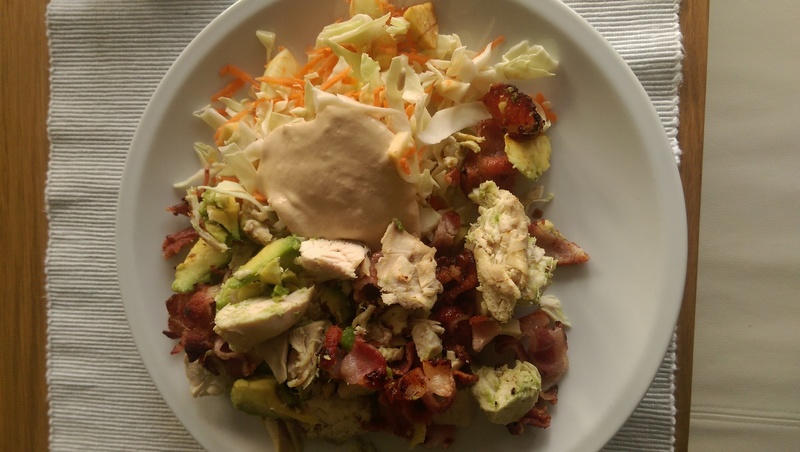 Below with the left over chicken I made a chicken, bacon and avocado salad with coleslaw with a tahini dressing. Delicious food. Natural, wholesome and filling.